I’m lucky. I get to visit wine regions worldwide on a fairly regular basis. Most of these trips are interesting, but this one was one of the most interesting of all, largely because it was so unusual. I was visiting Russia for the first time, to take a look at some of the leading vineyards on the Black Sea coast. For those of us who grew up here during the Cold War, Russia still has a sense of mystery, foreign-ness and even danger. It used to be pretty much inaccessible for those of us in the west; even now, it is regularly portrayed as the ‘wild east’ in TV shows and films. As far as I can work out, there’s no official name for the wine region near the Black Sea. Technically, it is known by either the old name of the state, Kuban, or the more modern name of Krasnodor Krai. But this refers to a large area—one of the 83 federal states in Russia—and we’re focusing here specifically on the area west of Krasnodar, where most of Russia’s wineries are found, and where I flew into. So it’s probably best to refer to this wine region as the Russian Black Sea Coast. Geographically, this is the northern coast of the Black Sea, and includes the Taman peninsular which has the Black Sea on one side and the Sea of Azov on the other. The latitude is the same as Bordeaux and Piedmont, and the Greeks made wine here 2500 years ago. 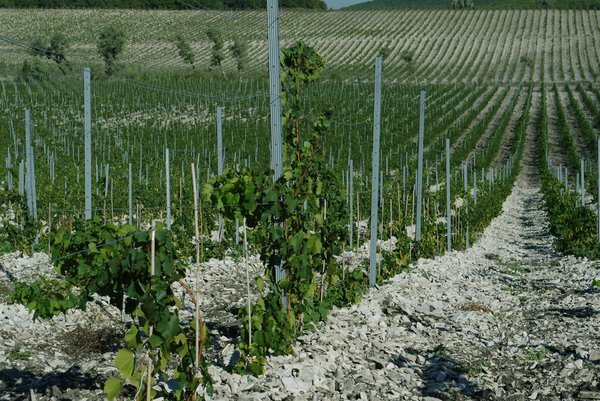 So it should be a good place to grow wine grapes, given the right soils and varieties. Some 80% of Russia’s vineyards are found here. 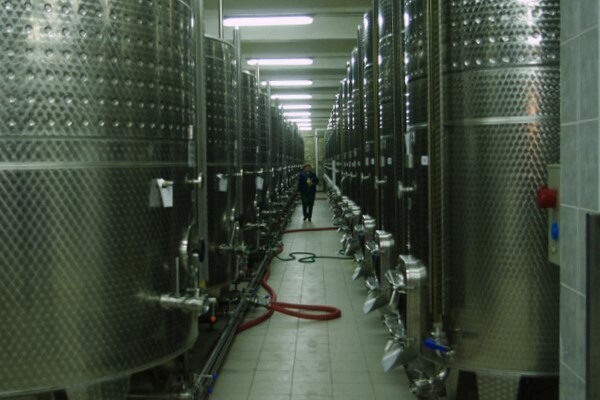 Under the Communist era, the Soviet Union used to make a lot of wine, and was fourth in the list of global producers. 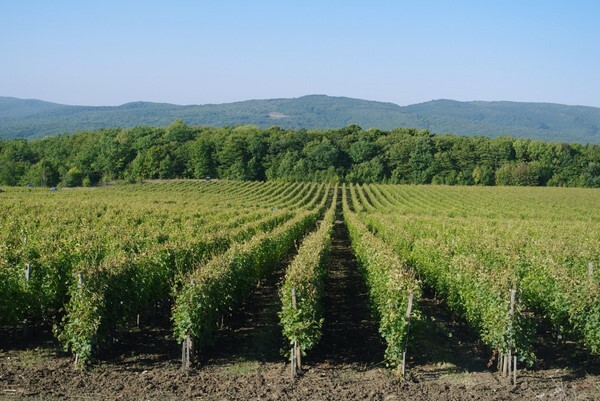 Georgia, Moldova and Ukraine had substantial vineyard areas, and Russia itself had a lot of vines. 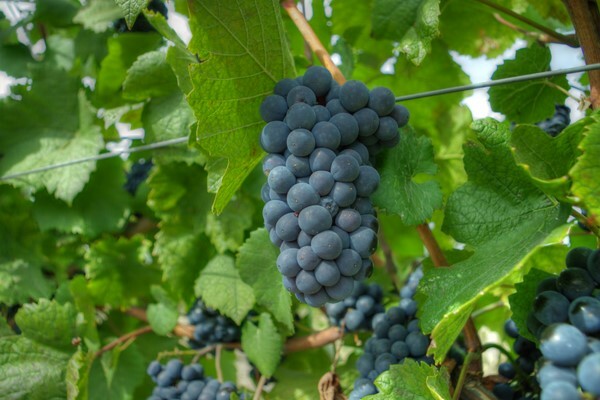 Then in the mid-1980s Gorbachev instituted reforms to combat alcoholism that resulted in lots of vineyards being pulled up, and production dropping to a third of previous levels. It’s important to note that not all wine labelled ‘Russian’ is actually made from Russian grapes. 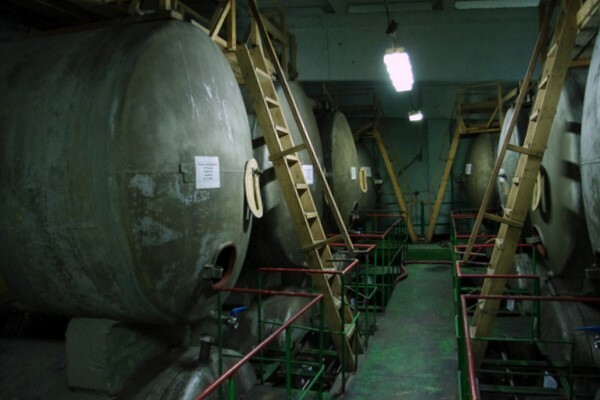 There still exist many wine factories, supplementing Russian grapes with imported bulk wine and even grape juice concentrate, yet still labelling the resulting wine as Russian. This is a depressing situation, and makes life hard for the guys playing it straight. However, my visit was focused on wineries aiming at making quality wines entirely from Russian-grown grapes. Where this isn’t the case, I have noted it. I travelled with consultant winemaker John Worontschak, who is an Australian based in the UK, but whose parents were from Ukraine. 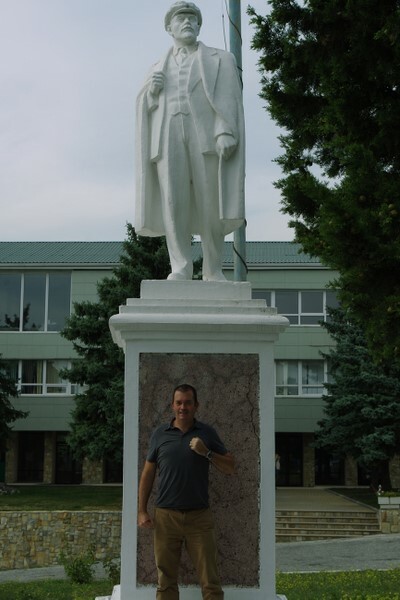 John first came to work in Russia in 2002, when he started consulting for the Myskhako winery. At the time, he encountered lots of oxidised wines and people were working with old equipment. Since then, he says, there has been a small revolution, with the wines getting better and better every year. John consults for three of the wineries I visited on this trip. In this series I’ll be describing my visit, and the wines I encountered. There were some really nice surprises along the way.